In the summer of 2010, I adopted one of your lovely Cavachons. He is a therapy dog, visiting patients at NIH and Walter Reed Military Hospital for the past 3 years. 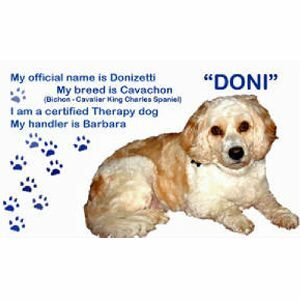 I would like to adopt another Cavachon this summer, so that I can train another therapy dog.